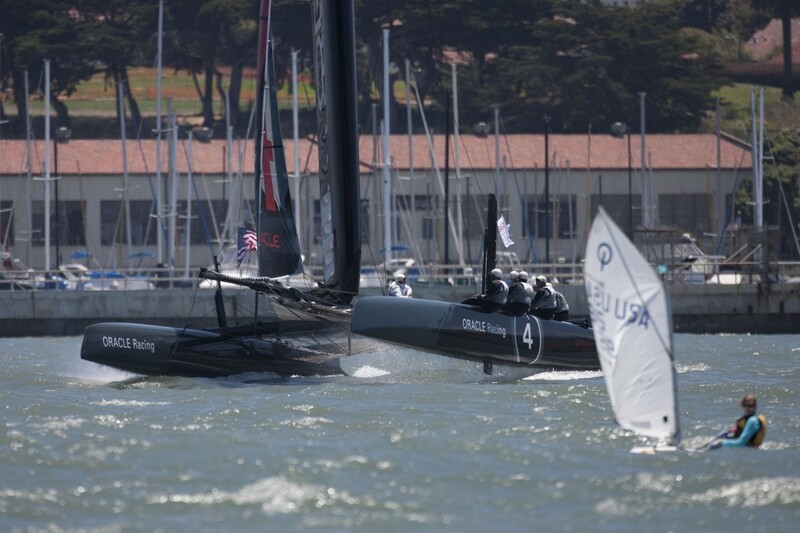 America’s Cup organizers have netted only a fraction of the funds The City needs this year to plan the massive 2013 yacht race, but officials said as soon as they receive their tax-exempt status, the money will start flowing. If it doesn’t, San Francisco taxpayers will be on the hook. I’ve rarely seen a better case study of putting “slant” on a story that, as Kyri McClellan tells it, is not a story at all. Kyri being the executive director of the America’s Cup Organizing Committee, the citizens’ group that has taken on the task of raising $32 million to offset the city’s direct costs for extra police and fire protection and the like. Having been unaware that the sky was falling, I called to ask. The former America’s Cup Project Manager for the Office of the Mayor put it this way: “We’ve been operational for 60 days, and we’ve raised $2 million from a handful of ACOC members. There are additional steps in progress with our 501C3 for people to be able to deduct their donations. The IRS takes four to six months to approve such an application, so we see August as the month when we turn a corner. “The intent is to thoughtfully build, and then execute a strategy that will raise $12 million by the end of the year, then $10 million and $10 million in the following years. As I write I’m looking at a whitecapped Alcatraz channel, where hearty kids in tiny prams are prepping for the weekend’s Opti Heavy Weather (and it is that) Regatta, and both Oracle Racing catamarans are out and on the fly, running practice races less than 24 hours after Russell Coutts augured in (literally). 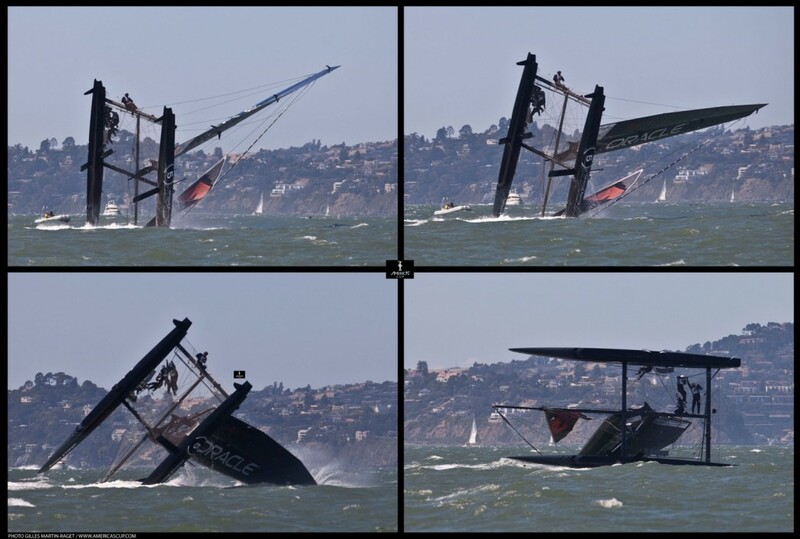 Flipped the boat and crashed through the wing. And made the papers and the news. Welcome to San Francisco, Mr. Coutts. You’re fun to watch.